Putin, standing alongside Merkel, cited the Nord Stream 2 pipeline as a key economic bond. Russian President Vladimir Putin and German Chancellor Angela Merkel had long and detailed talks about Syria, Ukraine, Iran and other matters — including U.S. tariffs — when the pair met on Saturday, a Kremlin spokesman said. Merkel and Putin also agreed to take steps to protect the Nord Stream 2 gas pipeline project from threats by President Donald Trump, Dmitry Peskov told reporters before the Russian delegation departed for Moscow. The two leaders believe “it is absolutely wrong to politicize this project” and that it should be completed, he said. Earlier, Putin said at a joint appearance with Germany’s leader that he supports the return of Syrian refugees to their homeland, warning that Europe can’t afford another migration crisis. 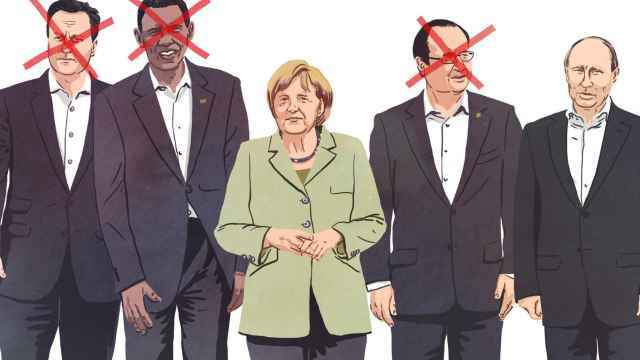 The remark, made before his first bilateral meeting with Merkel in Germany since 2013, hinted at the tension between the two leaders, even as Trump’s policies and disruption of the global order pushes them into alliances of convenience after years of antagonism. Merkel and Putin shared concerns about the “unpredictability of decisions, especially in the area of tariffs, taken by some states” and “the concern that such decisions may have in the end negative consequences for international trade economic relations system,” Peskov said — a clear reference to Trump’s trade wars against China, Europe and others. The invitation to visit Germany by Merkel, Putin’s most implacable critic since he annexed Crimea in 2014, is a break from his isolation that also reaffirms the German leader’s pivotal role in Europe. Yet while Putin suggested humanitarian aid would pave the way for some Syrian refugees to return home, German officials say that’s unrealistic for now. Putin and Merkel discussed the idea of a meeting on Syria involving the leaders of France and Turkey as well as Russia and Germany, according to Peskov. For all their differences, Merkel and Putin agreed that they want to preserve the nuclear accord with Iran after Trump withdrew U.S. support for the deal. They’re also pushing ahead with the Nord Stream 2 natural-gas pipeline from Russia to Germany over U.S. objections. Putin, standing alongside Merkel, cited the pipeline as a key economic bond. “Nord Stream 2 is a purely economic project,” Putin said, adding that the Ukrainian transit route should be economically viable. Merkel has said a certain level of gas transit through Ukraine must be ensured. Merkel opened her remarks by telling Putin that Moscow has an elevated responsibility to solve global crises. The German leader, who faces pressure from German industry to lift economic sanctions on Russia, said the leaders would discuss a possible United Nations peace mission for the conflict in eastern Ukraine between government forces and pro-Russian separatists. In Syria, Putin has used his military to tip the civil war in President Bashar al-Assad’s favor and Russia’s joined with Turkey and Iran in trying to engineer a settlement. 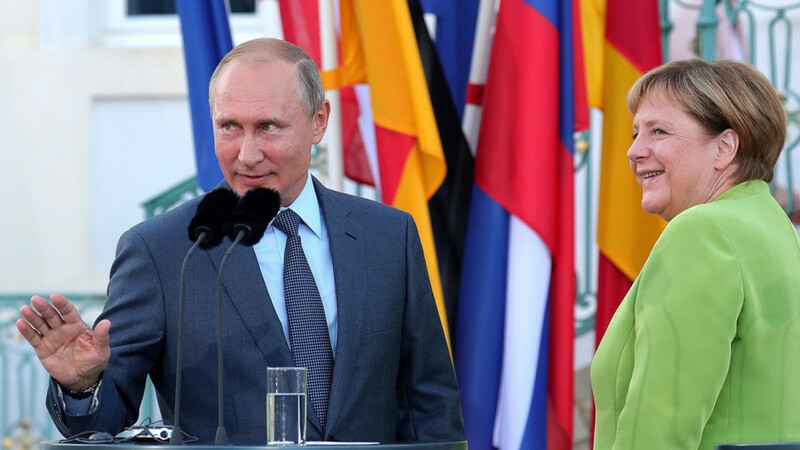 In the years since Putin’s previous bilateral visit to Germany, he and Merkel have met at international events including the 2017 Group of 20 summit in Hamburg. Merkel has also visited Putin in Russia several times, most recently in May. She’s advocated engagement, principally to deliver blunt messages rather than being a bridge between the European Union and Russia. The Kremlin views divisions between the U.S. and Europe over trade and the Iranian nuclear deal as a chance for Russia to mend relations with Germany by presenting itself as a more reliable partner in negotiations. Trump last month slammed Germany as “totally controlled by Russia” because of its dependence on Moscow for natural gas supplies. Work on a new gas pipeline linking the two countries, the Gazprom PJSC-backed Nord Stream 2, began in May amid a U.S. threat of sanctions targeting the project. Merkel and Putin agreed to take steps to protect the project, Peskov said. Putin came to Schloss Meseberg after attending the wedding of Austrian Foreign Minister Karin Kneissl, at which he danced with the bride and brought along a Russian choir. Kneissl is an appointee of the far-right Freedom Party, which has long-standing ties with Russia. 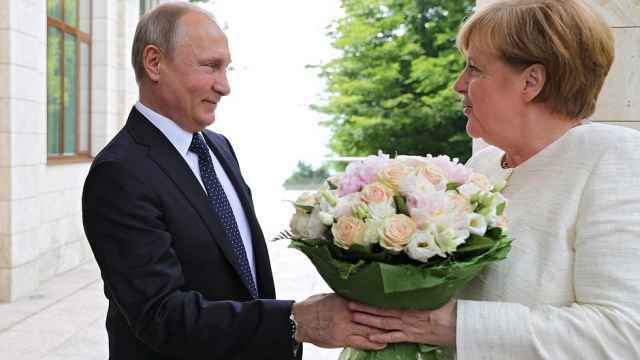 Germany’s Bild tabloid criticized Putin’s decision to give a bouquet to Merkel as a sexist “affront." 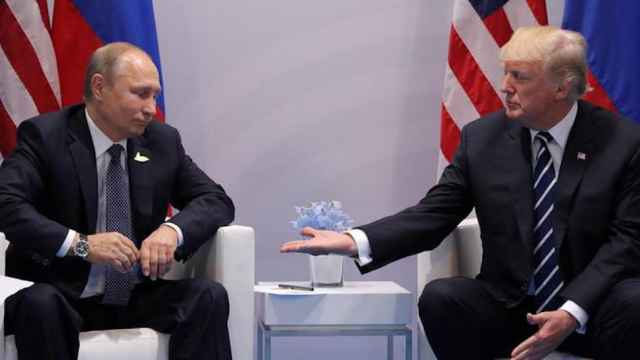 U.S. President Donald Trump and Russian President Vladimir Putin held their first face-to-face meeting at the G20 Summit in Hamburg, Germany Friday.